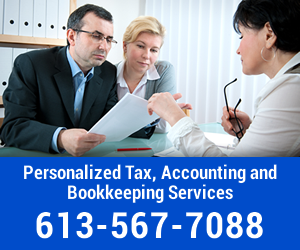 In the midst of the rapid growth in the dental field here in Ottawa and the surrounding geographical areas the need for a specialized form of bookkeeping is also rising in tandem. While in general, bookkeeping does have common tasks that are relevant to most types of businesses, the dental field posses unique situations that are germane only to a particular type of practice. Naturally, an accounting and bookkeeping service that has extensive experience helping make sense of the financial landscape, that develops within a dental practice, is beneficial for those who are beginning a new. Envolta has developed methods and solutions that, when applied along with standard medical practice mechanisms, enhance the overall operation of the financial aspect of the practice. Additionally, we understand that this medical field brings constant change accompanied with growing competition. Stipulating this, makes it understandable that different dental practices require different levels and types of accounting and bookkeeping services that are designed to fit their specific needs. Accordingly, the rates for these services vary meeting the level of involvement necessary to manage the finances of a dental practice. Envolta knows that every type of dental practice is unique, presenting different challenges, Together we can find the solutions that benefit and grow your practice.